Despite its famous association with original sin, it could be argued that there is no fruit as unassuming, as humble – and maybe even as boring – as the apple. It is the stuff of children's packed lunchboxes, a quick solution to hunger and poor planning, what you're willing to settle for when the summer harvest of berries and peaches has faded away. For many, the apple is a decidedly unexciting food item, and likely something you wouldn't deem worthy of devoting an entire book to. And yet, Helen Humphreys has turned her sights on the North American apple as the subject of her latest offering, The Ghost Orchard, and in doing so elevates this oft-neglected fruit to something all together fascinating and divine. Much like Kyo Maclear's Birds Art Life isn't really about bird watching, and Helen Macdonald's H is for Hawk isn't really about training a goshawk, The Ghost Orchard, of course, isn't really about apples (as surprisingly fascinating as they turn out to be). The book does go into meticulous detail about the history of the fruit in North America, traversing everything from Indigenous orchards to USDA watercolour artists, but it is much more poetic and delightfully meandering than simple record-keeping. With The Ghost Orchard, Humphreys asks that we revel in the delicious complexity of what we might have forgotten or neglected. This is a writer's mind on a tangent at its best, crossing eras and ideas unbound and with ease, tying and untying the narrative thread throughout. Yet it is the initial inspiration for Humphreys's deep look at the apple that weights this book with its real meaning – both unintentional and completely necessary, this is a history told on the backdrop of companionship, loss and grief, and how, inevitably, "memory becomes its own ghost orchard." The author's unique fascination with the fruit came from her discovery of the White Winter Pearmain, a medium- to large-sized "dessert apple" dating back to the mid-1800s. Highly regarded, "crisp and juicy with an underlay of pear and honey," it is believed by many to be the world's best-tasting variety, and how it became the impetus for a book is simple – Humphreys found the fruit growing outside an abandoned cabin near her Kingston, home while walking the dog. The discovery takes Humphreys down a rabbit hole of research, through countless apple varieties and apple-related anecdotes, but it also coincides with the declining health of her close friend, poet Joanne Page. Illness and eventual loss become a subtle subtext throughout the book, and while we are learning about the role of orchards on Robert Frost's life and work, or Quaker Ann Jessop's influence on American apple varieties, or Henry David Thoreau's declarations of love for the fruit, the more personal narrative thread lingers in the back of our minds. Humphreys acknowledges that this research and the path it takes her on is about something much bigger than merely the apple she found outside a cabin. "It is an off sensation, when on the trail of research," she writes, "To also feel that the research has, in a feeling that cannot be fully articulated, been on the trail of you." It is for this reason that the reader might find themselves wanting less research and more of Humphreys's astute observations on life, if only because she is so skilled at finding meaning where it is overlooked. The most beautiful moments here are the more human and less historical – when she reflects on scenes from her long friendship with Joanne or what she ultimately learned from her grandfather about being an artist ("The life of a full-time artist is also full of regrets. They're just different ones."). The book's conclusion satisfyingly ties the disparate avenues of research into an eloquent whole, and is a place where Humphreys's gift for exquisitely clear prose particularly shines. The final pages only emphasize how amazing it is that Humphreys can do so much, can convey so much meaning and move her reader so completely with the starting point of a simple apple. This addition to her already lauded catalogue further proves why she is regarded as one of the country's best and most thoughtful writers. The start of fall feels like a perfect time to enjoy this satisfying ode to an unappreciated staple, and will inevitably get you looking at the fruit (and much more) with fresh eyes and a new sense of admiration. 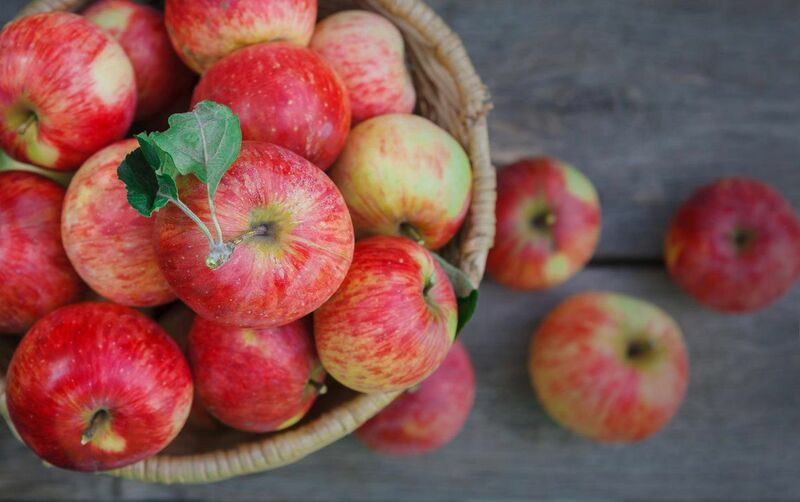 Humphreys has renewed our love for the humble apple, making the end of summer easier to bear, and the fall harvest that much sweeter. Stacey May Fowles is the author of Baseball Life Advice: Loving the Game that Saved Me, and the co-editor of Best Canadian Sports Writing, out this month.